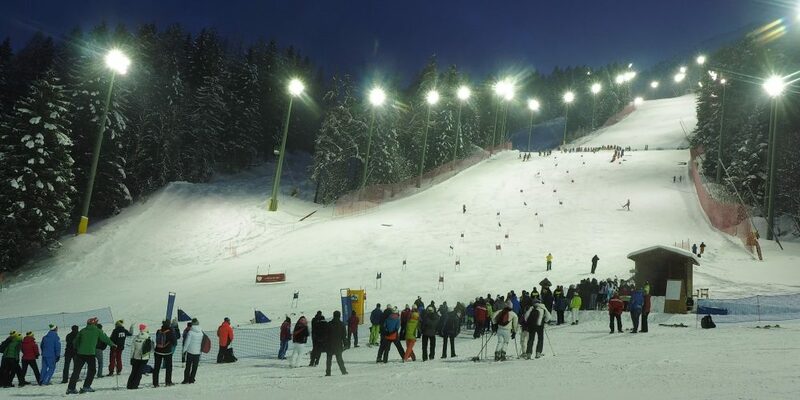 You can ski at night on the legendary “Leonardo David” track. For all fans of skiing, night opening of the Weissmatten chairlift in Gressoney-Saint-Jean: evocative and exciting descents on the international track Leonardo David Special, the legendary “black” dedicated to the famous Aosta Valley skier. The Leonardo David Special is a track much loved by the most skilled thanks to the continuous changes of rhythm, the steep slopes and the always perfect snow conditions. Reason for its uniqueness is the excellent lighting that allows the opening in the evening, to give the opportunity to experience the thrill of descents and competitions at night.